Cats are fascinating mammals. I think I could say that my hubby’s favorite animal is the cat. Cats of any kind. Tigers, lions, and all other cats (and including the domestic cat) are amazing hunters. Their abilities are truly stunning. 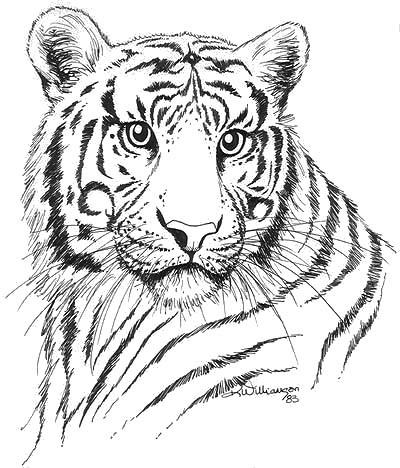 I think the tiger a striking cat. The leopard is lovely too. The Cheetah seems such a sweet cat. Though I adore many cats, I think my favorite wild cat has long been the Mountain Lion, Cougar or Puma. To me, the Puma is sort of the Palomino of the cat world. Their golden blondish coloration calls to me, but their large light eyes are hauntingly beautiful and seem so childlike. Yes, I know they can be killers. That is their instinct: their will to survive. That is how they eat. Carnivores must be respected in a healthy fear sort of way, I suppose. The Mountain Lion is a purely American cat, they seem to me to be. North American, perhaps. I was amazed to hear (or did I read) the story of the cougars that were taken to England and kept in captivity. Black cubs were born and lived, and some supposedly escaped to thrive in the forested countryside. Is the story true? Are their Black Cougars living wild and free in the UK? I have no idea. I learned of the story so very long ago that I forget the details somewhat. But the story got me thinking of nature’s ‘survival of the fittest’ laws and how black cats thrive in jungles, golden cats in desserts, striped or spotted cats in grasslands and so forth. White tigers are born in captivity oftentimes. The white and black tiger cubs would not likely survive in a native habitat, but can thrive in a zoo or similar habitat situation. The laws of nature are so intriguing. My love for cats began when I used to try to count the fifty to one hundred farm cats every summer. Each year when I returned to my grandparents’ ranch style farm, I would try to figure out how many new kittens had been born since I had been there and how many cats had survived the winter. When I was old enough to understand the cruelties of winter upon a farmyard cat colony, I was always saddened to see missing cats, but always happy to see new kittens. One year a beautiful Siamese tom cat passed through and many part Siamese kittens were born. They were beautiful and I was thrilled. But the next year, I was horrified to find that many did not survive the winter. They were too domesticated and fragile I supposed. One year there was an abundance of cats, and a good thing too, for there was an abundance of mice. It had been a mild winter. We all thanked the Heavens for the cats more than ever that summer, and hoped they would make short work of the mouse population explosion. One of my sweetest memories of my grandmother, was going out onto the porch and patio with her to feed the cats. She would call her trademark, “Here, kitty, kitty, kitty!’ in a high voice and cats would coming running from near and far for the likes of bacon rinds and leftover oatmeal porridge. I would be able to pet only the tamest cats. Most of them were too wild to touch. And a similar sweet memory with my grandfather was ‘helping’ out in the barn while he milked the cow, and fed the cats.